Nancy Schneider, PHEc, M.Sc., C.I.M. Summer is a great time for kids and families to create memories. If you have been fortunate enough to get to a beach, you probably have a selection of “souvenirs”; pebbles, shells, twigs, sand, all things children love to collect. Now the question is what to do with these treasures! One way to keep the memories without having a sandy mess is to find a clear container. The size will depend on the number of treasures you have. Place some of the sand in the bottom of the container. Next add the treasures. These could be shells, twigs, stones, whatever your child has collected. You may want to add a note or a photo as well. Check if you want more sand, or move any of the treasures. Then, place the lid on and secure. If this will be in a younger child’s room, you may want to tape or glue the lid so that the treasures don’t get dumped. Display on a shelf or other area in the child’s room. 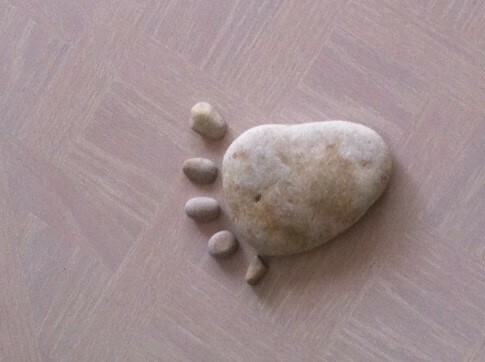 If your child was a stone collector, you may have ended up with many shapes and sizes of stones. Painting them is a great way to re-use and still maintain the memory of the beach. Larger stones could be painted and used as paperweights or perhaps even a doorstop; great gifts for the child to give. 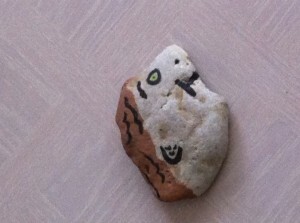 Or you can look at the shape of the stone and imagine what it looks like. 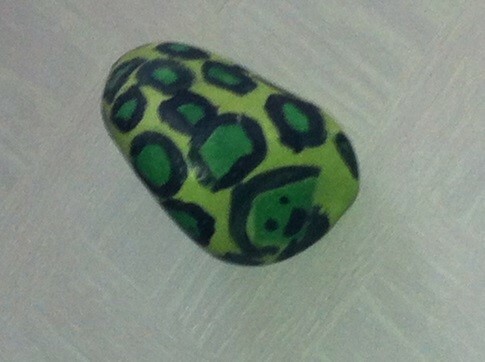 Once you have determined what the stone is, you can paint it to bring it to life. This is a great activity to do, especially if you try to relate the shape back to the vacation. For older children, memories are often made at camp. A shirt from camp or purchased for camp can hold wonderful memories of the camp experience. Unfortunately, children grow so quickly that the shirt will probably not fit next year. What do you do with the shirt to help the child remember the fun times? You make a pillow that can go with them on other adventures. Step 1: Short sleeves work best, but if there are long sleeves, cut along the shoulder seams (leaving the seams attached to the shirt). Then, sew the arm holes closed. If the shirt has short sleeves, you can just sew them closed. 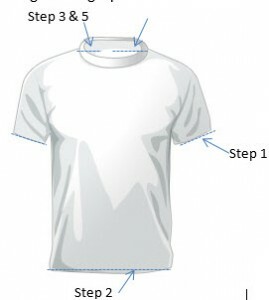 Step 2: Next, sew along the bottom of the shirt, closing it off completely. Step 3: Now sew about half of the neck opening. Leave enough space to fit your hand. Step 4: Stuff the “pillow” with fibre fill or other stuffing of your choice. Fill it as full as is comfortable for your child. Step 5: Once it feels right, stitch the rest of the neck opening closed. You now have a pillow that will be great for traveling and have fantastic memories. If you know you will be doing this ahead of time, you may even want to send a marker to camp so your child can get autographs on the shirt. Activities like these help to keep the memories of fun, summer and family close the whole year through.